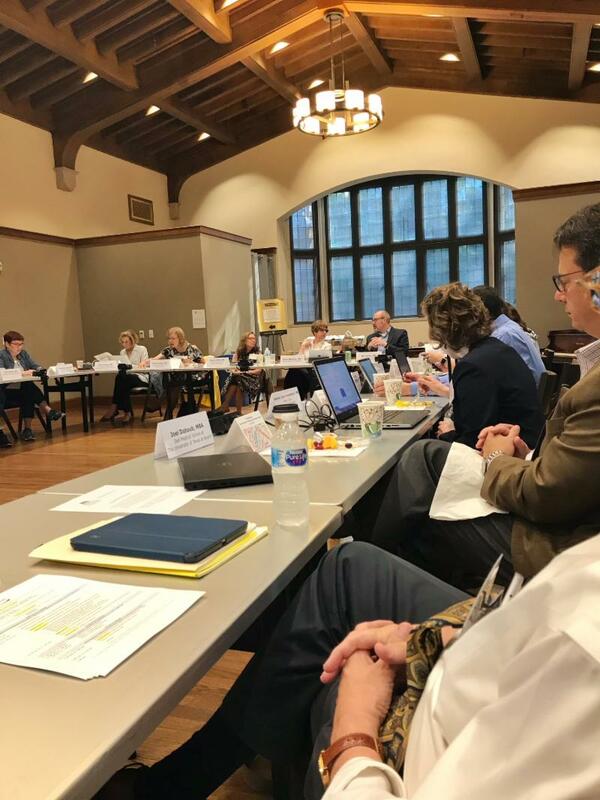 At the quarterly meeting of the National Transformation Network (NTN) held at Vanderbilt University School of Medicine earlier this June, the NTN approved their first collaborative work project on the Clinical Learning Environment. The proposal was created by a work group comprised of members from each of the seven medical schools in the network, led by Marty Muntz, MD of MCW. 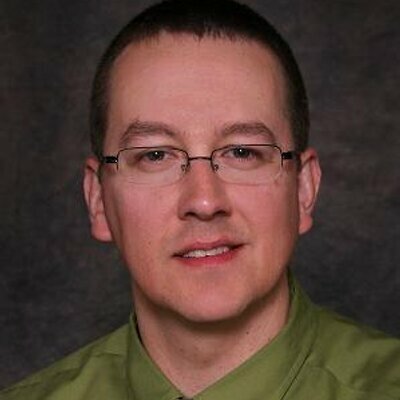 Be sure to read Marty's column at the end of this newsletter where he shares his thoughts on the clinical learning environment. This was the first time the NTN met at Vanderbilt's campus. “This meeting was a great opportunity to highlight the NTN’s work to the larger Vanderbilt community,” said Bonnie Miller MD, MMHC, VUSM’s NTN team leader. 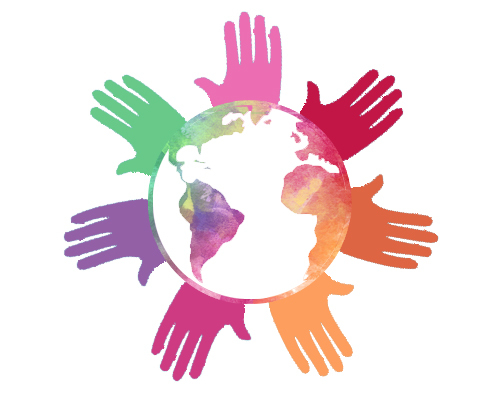 “This collaborative has pushed us to consider the most important attributes of deeply caring physicians, as well as the environment that allows those attributes to thrive. 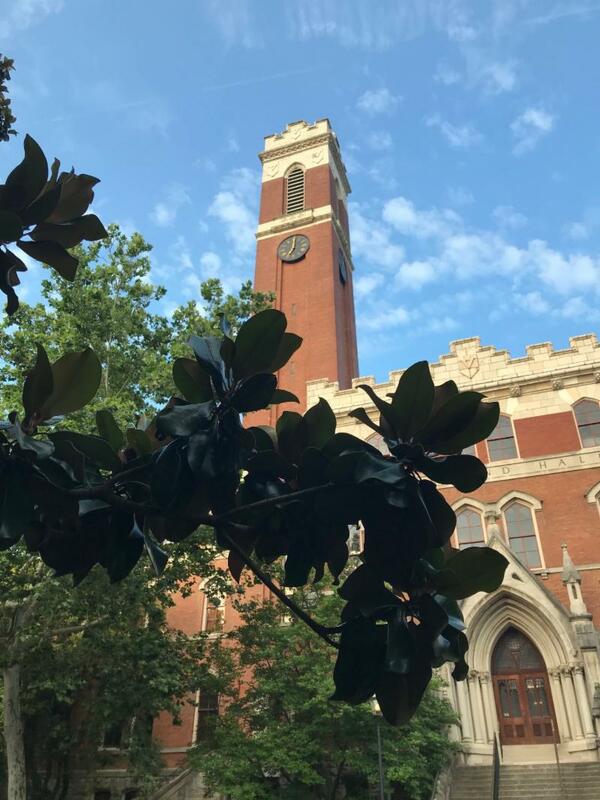 Our ultimate goal is to nurture a generation of physicians committed to the ideal of human flourishing.” For more information about the meeting, follow this link: Vanderbilt Hosts NTN. 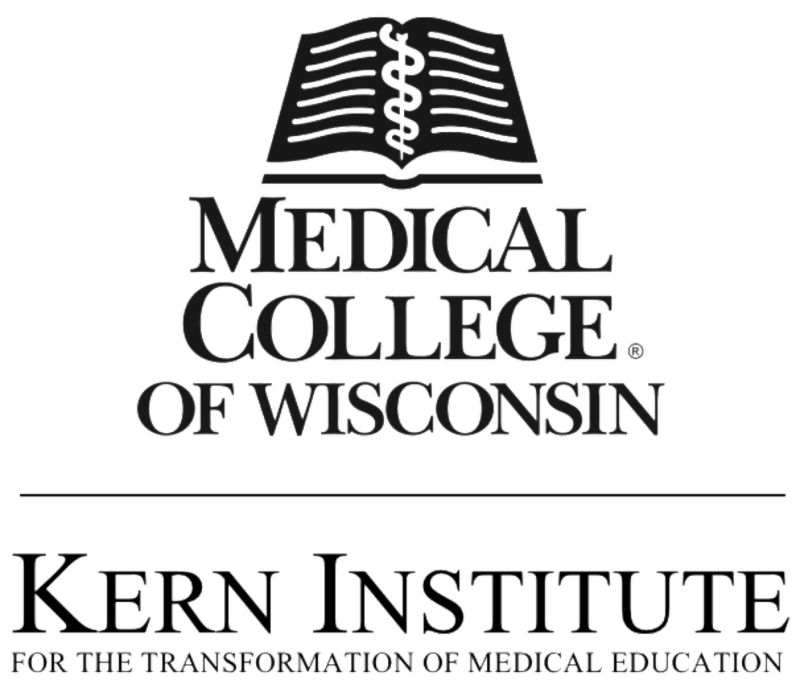 June 8, 2018 marked the one year anniversary of the establishment of the Kern Institute for the Transformation of Medical Education and the National Transformation Network (NTN). The first year has produced several programs at MCW that focus on character, competence, and caring, including the launch of the Kern Institute teaching academy: KINETIC 3 and the first Kern Institute seed grant program, Innovative Ideas Initiative: I 3 . Additionally, grand rounds presentations, journal club meetings, and cafe discussions engage our faculty, students, and staff in collaborating to achieve our mission of transforming medical education. Concurrently, the NTN has established several collaborative work groups to improve medical education across the country in focused areas such as holistic admissions, clinical learning environments, faculty development, palliative care, women's leadership, and well-being for faculty, students, and staff. Thank you to everyone who has played a role in the success of the Kern Institute and the National Transformation Network. 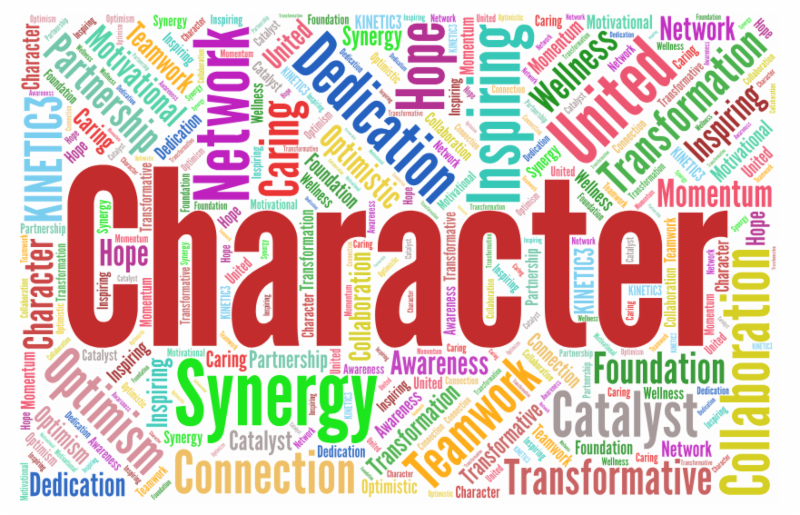 To celebrate, colleagues were asked to submit a word that best represents the work and accomplishments achieved together this past year, which are represented in the anniversary word cloud below. You may also view the highlights video from the June 8, 2017 launch of the Kern Institute and the National Transformation Network here: Launch of the Kern Institute. The Kern Institute was established through a generous gift from Robert D. and Patricia E. Kern, the Kern Family Foundati on, and Stephen and Shelagh Roell. Design thinking is a creative process for problem solving that encourages organizations to focus on the people they are serving, creating user-centered solutions. Some of the world's leading brands, such as Apple, Google, and GE have adopted design thinking approaches to their innovation, and design thinking is being taught at universities around the world including Stanford, Harvard, and MIT, as well as in medical schools such as Dell Medical School at UT-Austin, Mayo Clinic School of Medicine, Sidney Kimmel Medical College, the University of Virginia School of Medicine, and the University of Michigan Medical School. 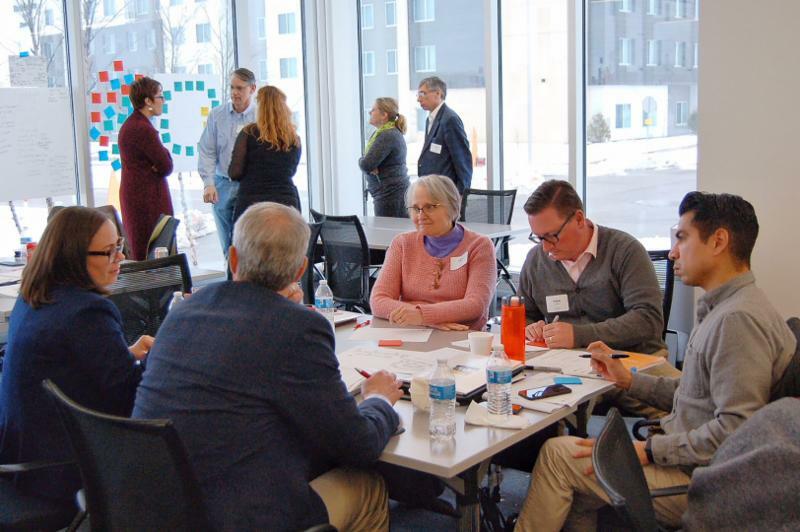 The Kern Institute is training MCW faculty, students, staff, and stakeholders how to use design thinking as a tool to innovate solutions for the seed grant projects in the 2018 Kern Institute Innovative Ideas Initiative: I 3 , as a method to identify ways to integrate character education in medical school, and as part of an innovation course in the Kern Institute teaching academy, KINETIC 3. 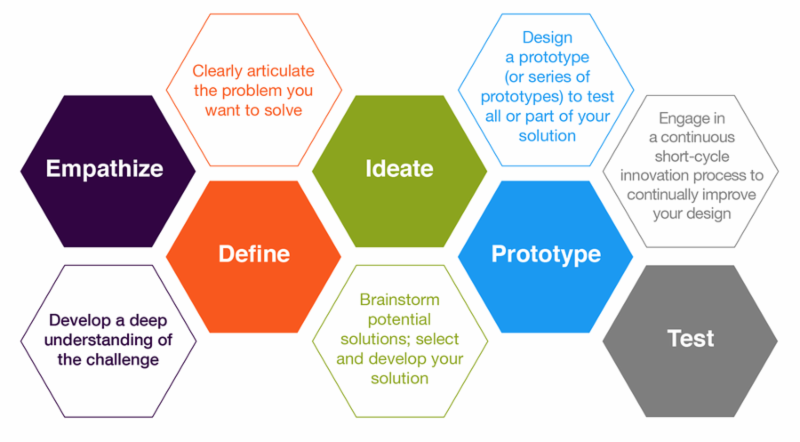 The design thinking approach uses a five step framework (see diagram below): building empathy, defining the scope, ideating, prototyping, and testing. The whole process begins with building empathy to understand the needs of a person or group in order to create a truly meaningful and effective solution. Through the subsequent iterative processes, ideas are modified and refined based on the reactions of the test users and new insights that arise with each new approach. The final result is a very successful user-centered solution to any problem. For more information on how design thinking is being used in medical schools, click here: Making Design Thinking Part of Medical Education. Depending on how “culture” is defined, there are so many worldwide that it's impossible to be an expert in each one. The reality is that regardless of one’s best intentions, one will likely say something culturally insensitive or offensive to someone and conversely, be offended by someone. The goal is how to deal with this in either situation, to grow, and to help others. We will facilitate an open discussion on the best ways to navigate in this space, including being humble, being open-minded, practicing tolerance, being kind, and being selective about engagement. All faculty, staff, and students are welcome. 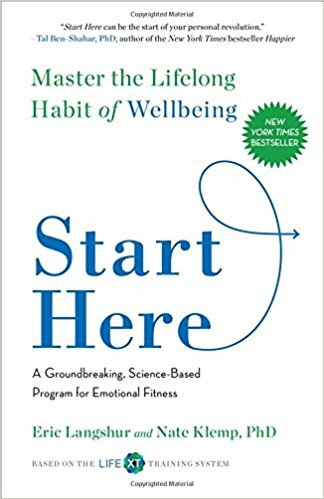 Start Here is a New York Times bestseller that outlines a program designed to help you achieve emotional fitness by cross-training the skill of lifelong well being. Authors Eric Langshur and Nate Klemp, PhD suggest that just as you train your body for fitness, you can train your mind for well being. They call this Life Cross Training (LIFE XT), and Start Here is a manual for anyone seeking to achieve emotional satisfaction. Combining ancient wisdom with modern neuroscience, LIFE XT is a training program that teaches practices to rewire the brain for increased focus, engagement, and resilience to stress. By offering specific practices, habits, and assessments to manage your training and helping to build skills such as mindfulness, gratitude, and compassion, Start Here shows you how you can integrate these practices into your daily life. Click here to read an interesting article written by the authors. At our recent NTN meeting in Nashville, our first collaborative project on clinical learning environment (CLE) transformation was discussed and approved. It’s hard to write about the CLE in a way that doesn’t feel like a rehash of the fantastic work that’s already out there, including here and here and here . shares innovative curricular tools and best practices. Labels – hopefully we’re doing our best now to avoid referring to a patient as “the pancreatitis in room 2” or the “knife wound in trauma 1.” I still hear it, though not as much as I did watching the show. We can and should do better. Mistreatment – instances of harassment, belittlement, humiliation, and neglect toward students and interns are everywhere in this show. While mistreatment seems to occur less frequently than it did 20 years ago, still over one-third of US medical graduates reported experiencing mistreatment at least once during medical school between 2014 and 2017. It’s easy for people like me to say, “mistreatment isn’t common anymore.” We need to provide a safe venue for students to talk about this and listen to them. They’re the future of our profession. Disrespect – while not necessarily reaching the level of mistreatment, condescending chatter about other team members or services (surgery <--> medicine, ER <--> OB-GYN, etc.) or jokes in poor taste permeate our CLEs to a much larger degree. The undesirable words we use to communicate with and describe each other can be a way for people under enormous stress to blow off steam. We don’t mean what we’re saying, and the act of venting like this might help us feel better for a few minutes. Our patients see this and are incredulous that we treat each other this way. Our learners see their trusted role models acting counter to the professionalism and high character they learn about when they start medical school and either (1) experience distress from this disconnect that impacts well-being and potentially their health, or (2) get the message that this is the right way to act, thus becoming part of the problem in this vicious cycle. Our leaders may not have great insight into how widespread this is. I don’t think any of us are proud of it. We need to shine a light on this and work together to eradicate it. Overworked and overtired – teachers and learners dealing with life and death stuff. We all know that our work is hard. There is no way to bubble wrap our learners or insulate ourselves from this, and since we learn by taking care of patients, we shouldn’t want to limit these experiences. But the absence of reflection and debriefing after difficult events can numb us in a way that isn’t healthy, and limit our ability to learn and improve from these situations. Hierarchy – everyone in the show seems really worried about doing exactly what their supervisor wants and avoiding looking foolish. Clearly this is important, as we develop excellence and expertise at least in part due to experience and repetition. But the downside to a rigid hierarchy is that really smart and caring people in medical school and residency may lack the responsibility, courage, or agency to speak up when something doesn’t seem right. In this way, our hierarchical structure limits learning and can negatively impact patient care outcomes. We need to help students develop skills to initiate discussions and foster the courage to ask questions and speak their truth. Furthermore, we must train our faculty and more senior trainees to listen when these bright future leaders speak up. Patients at the center – and lots of them. There are rare moments of being in the doctor’s lounge, but most of ER’s hospital scenes take place at the bedside. And, guess what – no EMR to pull attention away from the patient! There’s eye contact and everything. The CLE is fast-paced and somewhat chaotic, but the patients’ stories feel authentic. While clearly providing advances in care over time, the EMR and other technology must not replace our time and bond with our patients. This relationship must remain our true north. Teaching – we see the third-year medical student everywhere – learning by doing, getting loads of meaningful responsibility, and receiving frequent feedback even on the first day. Sometimes this is crowded out of our busy days as teachers. Remember how important this is and learn/practice the skills of meaningful actionable feedback. 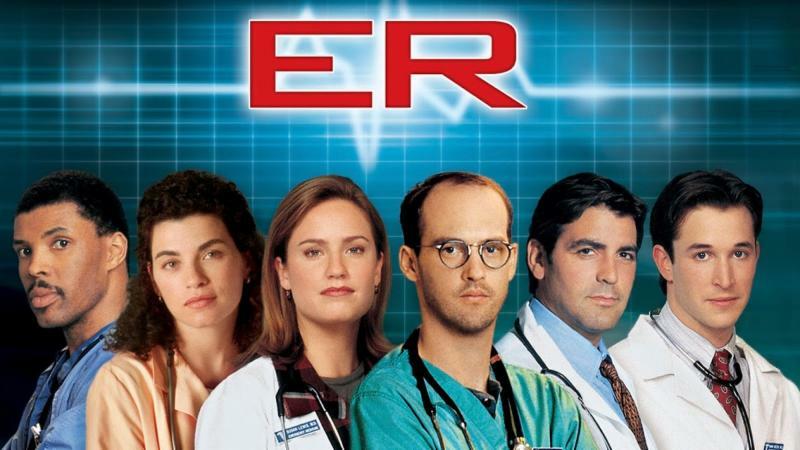 Looking out for each other – despite some of the previously mentioned undesirable CLE characteristics shown in ER, the team really cares for each other and supports each other through truly trying and often unimaginable circumstances. A little bit of this can go a long way. So back to our CLE project…it’s broad and far-reaching in scope and would require significant culture change to be impactful. But in medical education, as in life, complex issues do not have simple solutions. We can come together and do better. The Kern Institute team looks forward to engaging with the entire MCW community in discussions and collaborative interventions to improve the CLE over the coming months and years. We owe it to ourselves, our students, and our patients. 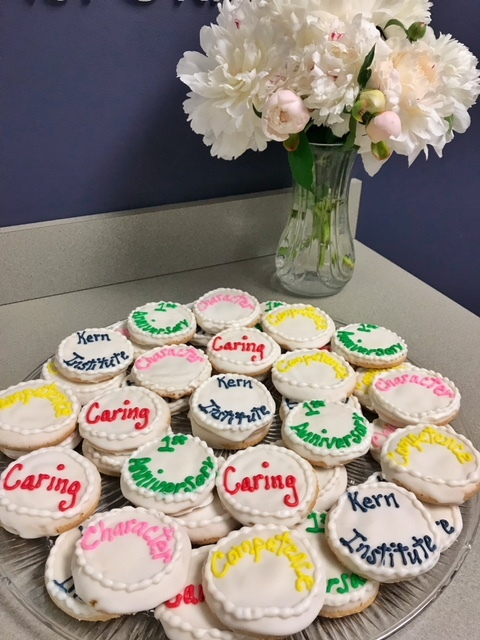 Ultimately, we must first care for ourselves, each other, and our learners so we can provide excellent care for our patients and communities, now and in the future.